Some events allow their guests to attend without having to present or pay for something upon entering but others require the use of a ticket. Of course, tickets are almost always sold by the event organizers and if you’re one of them and you’re putting together an event, check out our admission ticket templates below. Before creating your tickets, do your research first. What information should you know about tickets? For one thing, you should learn what they’re for or how they’re used. Other than that, you should also be familiar with the different types of tickets and gather ideas from the tickets of your competitors. Why are you creating admission tickets in the first place? What are you trying to achieve? And to what or where does the ticket admit its holder? There are various questions surrounding your plan of creating admission tickets and let the answers to these help you in identifying the purpose. After identifying the purpose of your tickets, it’s time for you to determine what details you should or can include on it. For starters, every ticket should have the title of the event, the date and time, and the venue. And of course, graphical elements are a good addition though they aren’t entirely necessary. We’ve got an entire collection of admission ticket design templates below which you can download. Scroll down to see the templates, choose one, and then download it. By using a template, you don’t need to start from scratch. What you will need is to use the right editing tool for the template. Once the editing has been done, you will need to evaluate your edited ticket design to see if it’s already presentable enough. This is because the impact of your tickets can influence your reputation as an event organizer. Lastly, check the details written on the ticket for correctness especially on the schedule and name of the venue. Tickets often come with two parts which are split apart upon being presented to designated personnel. One copy is given back to the ticket holder while the other is kept by the personnel. This is basically how tickets work and you may download or simply refer to the sample ticket template above. People enjoy partying and oftentimes, these party venues require a pass from their guests before allowing them to enter the premises. 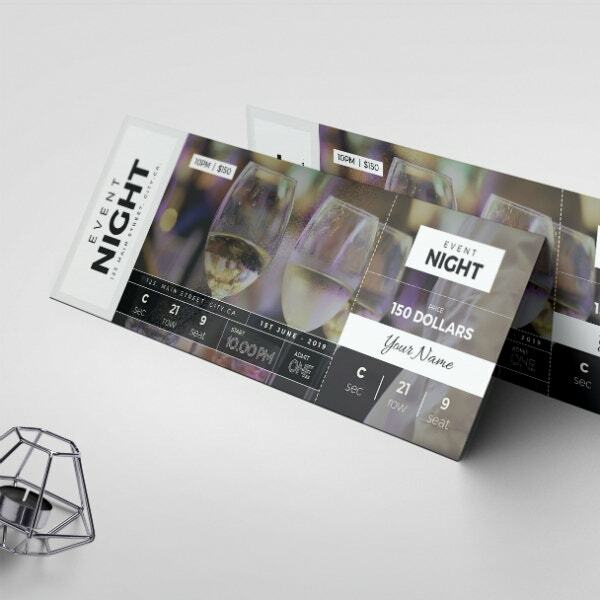 Thankfully, we’ve got an admission ticket template that you can use for that specific purpose but if you’re looking for something to promote your party, check out our rave night event flyer template. The thing about tickets is that they can serve as an alternative to invitations although if you’re really looking to make a profit, you will really need to use tickets. 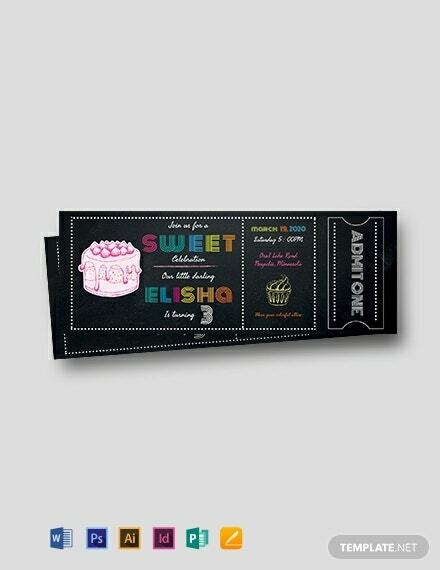 Nevertheless, you may still be allowed to make your invitations cards look like tickets just like the one on the sample above. Baseball has become one of the biggest sports on the planet which without a doubt, a baseball event is sure to bring in a lot of people if marketed well. 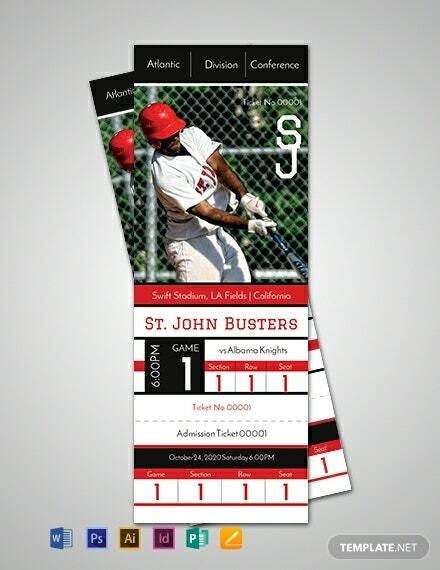 However, the sports ticket template above would also work when used for baseball-themed parties or gatherings especially if the host is a big fan of the sport. Music is what helps the world go round and the people in it to see the brighter side of life. That might sound exaggerated but imagine life without music at all. 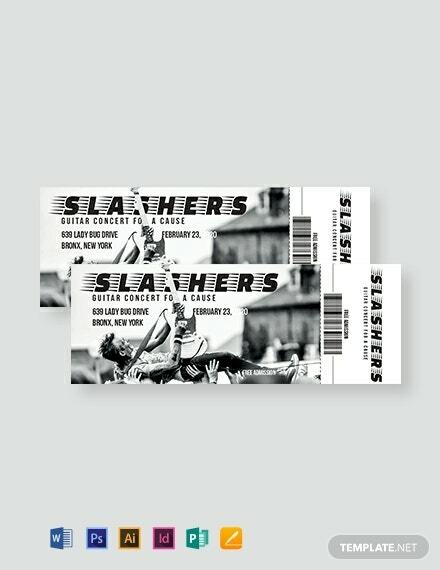 As much as people love listening to music, they also love watching it performed live and this concert event ticket template would be perfect. Aside from just music concerts and sports events, tickets can also be used for other occasions involving a gathering of people. An example would be expos, conferences, and some charitable events. The template above may be perfect for keeping track of the crowd, but you may need to use an event poster template to promote it. 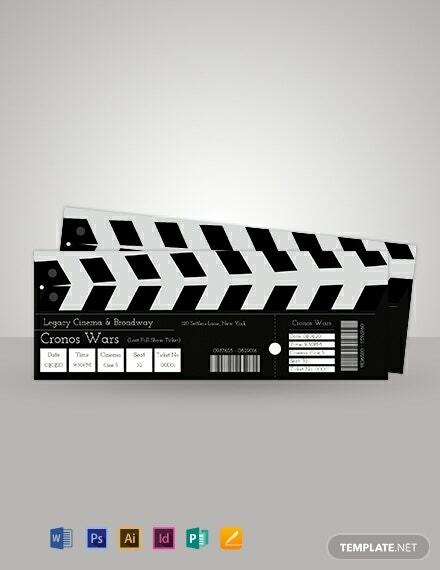 It’s no doubt that for a person to be able to watch a movie inside a movie theater, they will need to purchase a movie ticket and present it to the establishment’s staff. Speaking of movies, if you’re planning on incorporating movie themes to your events, check out our movie night poster template as well. When we hear carnival, we often think of the traveling attraction although the one implied on the ticket template above is the festive occasion. Carnivals are indeed colorful events which make the design on this template very fitting. 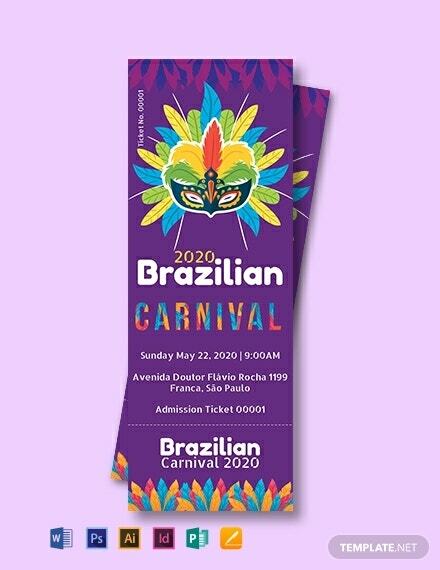 You may also check out our Brazilian carnival flyer template to complement your ticket. The modern event tickets today try to keep its integrity by refraining the use of the tear-off stubs. 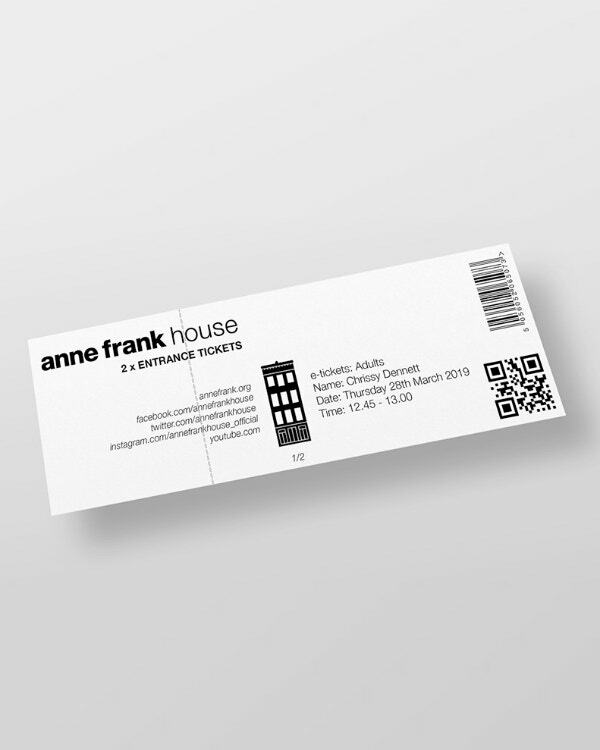 Instead, bar or QR codes are used just like the one on the template above. This is perfect for people who enjoy collecting tickets since nothing is being cut or torn off. 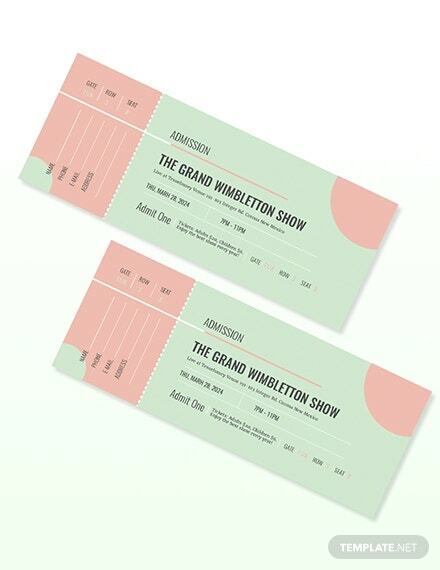 As long as the event is marketed effectively and deals were offered to people, it’ll be able to gather an audience regardless of how simple the ticket looks. 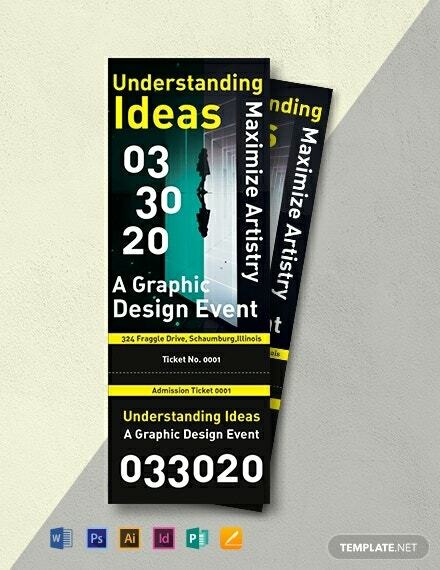 Check out the template above for an example of a minimalist ticket that you can use for any event or gathering. Traveling carnivals or the circus is indeed filled with all sorts of games and attractions which are fitting for any age group. 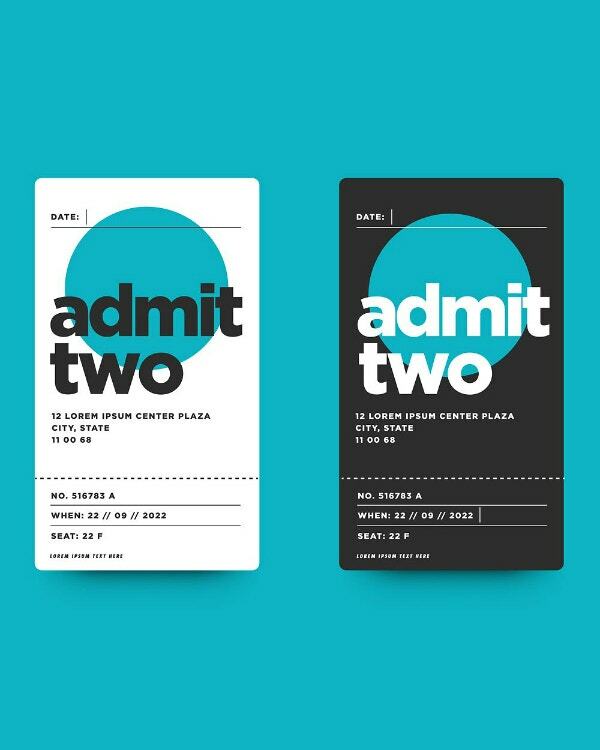 To incorporate that feeling onto your events, you may want to use the circus-inspired admission ticket template above. With all these templates in store, you won’t be leaving this article empty-handed.